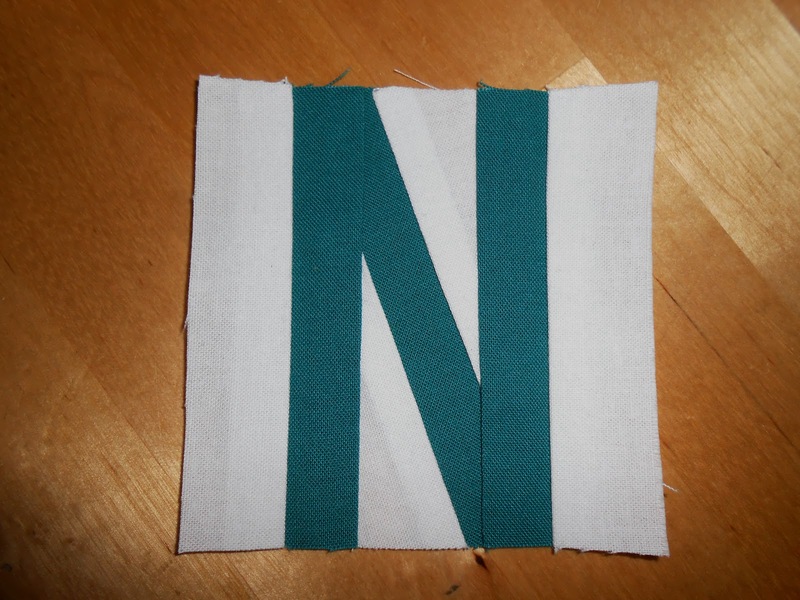 Yeah, technically the HSTs in my latest blocks have been paper pieced, too. But that didn't require any thinking or actual construction. And yeah, that wonderful "N" wasn't achieved instantly. 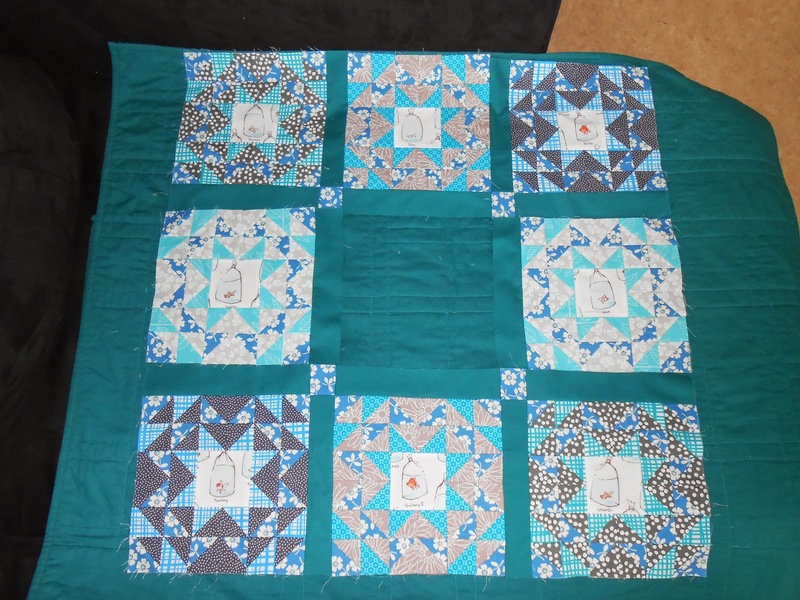 My first attempt looked like this - had to make a better one to do the quilt justice in its neatness, tininess and cuteness. All of which will surely apply to my nephew, too. *wink* The perfect block above is 3,44'' square, the "N" only 1,77" square. 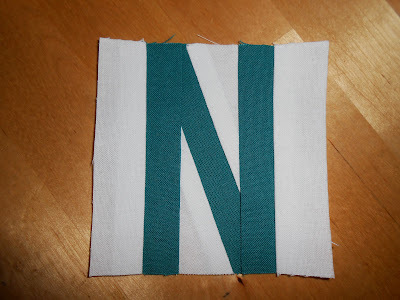 I've started sashing and assembling my blocks with cornerstones as well. So much closer to finishing the top! Right, with that I'm off to prepare HSTs for the centre block before going out for some much needed dancing. Wishing you all a wonderful weekend and happy sewing, friends! 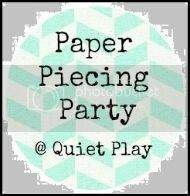 Oh, and I can link up with Kristy's new Paper Piecing Party for the very first time, too! Whoop whoop! Woohoo! Well done you for tackling paper piecing - and on such a tiny scale! It looks fabulous! Love how the quilt is coming together! It does look amazing!! 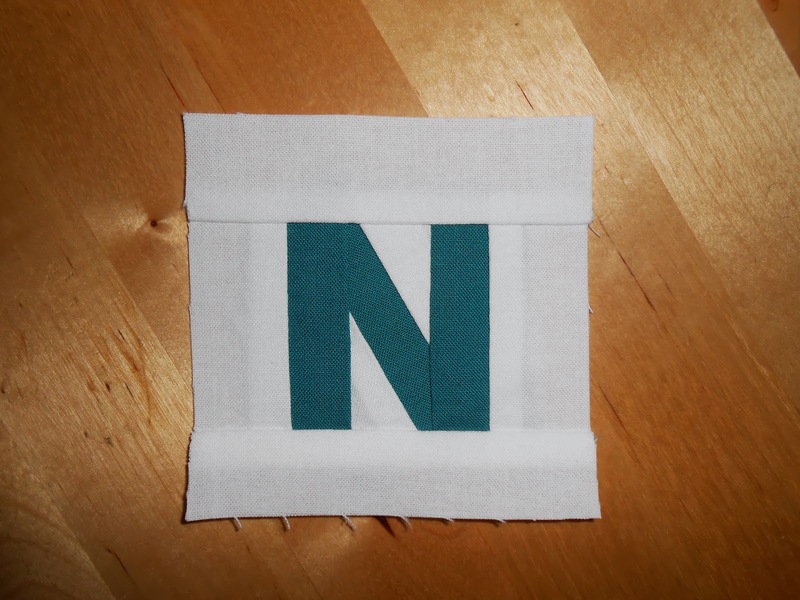 I've been making for a new nephew today but he hasn't got a paper pieced letter - next time! Love letters, so let's see the next ones ;-) ,,,, and the Top Looks so great! Your fishies are looking happy together, and your N is perfect! Great work!